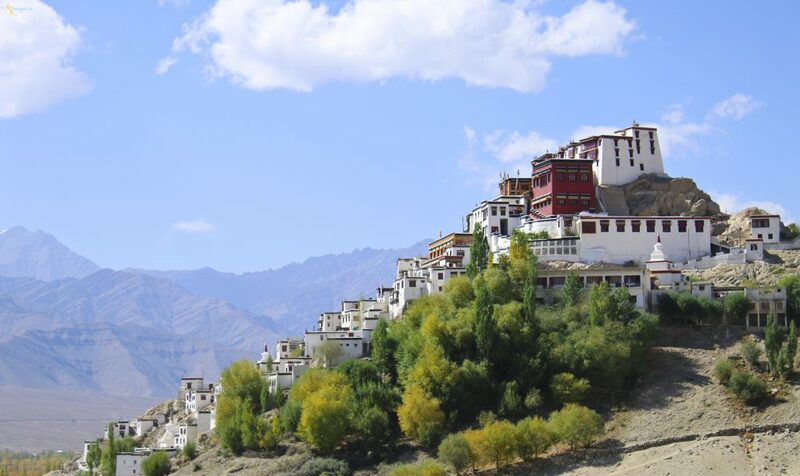 Perched high atop the Himalayas, Ladakh is one of the most sought after destinations in India. It has almost become synonymous with the perfect Indian road trip. Nevertheless, the accolade is well deserved, as some travel routes for Leh and Ladakh are incomparable. The challenge of the rugged terrain, unpredictable weather and the high altitude makes it a bucket list item for travellers and adventurers alike. There are multiple ways of doing this road trip, depending on the timing and base destination. Want to know which route would be perfect for you? Dive into our guide on the 5 best routes for your dream road trip to Ladakh. If you’d like to visit Leh and Ladakh and not have to go through the trouble of researching and booking hotels, transport and places to visit, contact us/fill our form and we’ll sort everything out for you! The journey starts in Chandigarh, with an 8-hour drive to Manali. You’ll pass Kullu, after which, lush green mountains and clear skies become your trusty companions. The Beas River’s turquoise waters will flow alongside you in your journey. A popular hill station, Manali offers a panoramic view of the mountains. When you’re not admiring the wonderful vistas, be sure to bathe in the refreshing hot water springs of Vashisht, paraglide in Solang valley and dine in riverside cafes. After a relaxing jaunt here, you’re ready to hit the road. 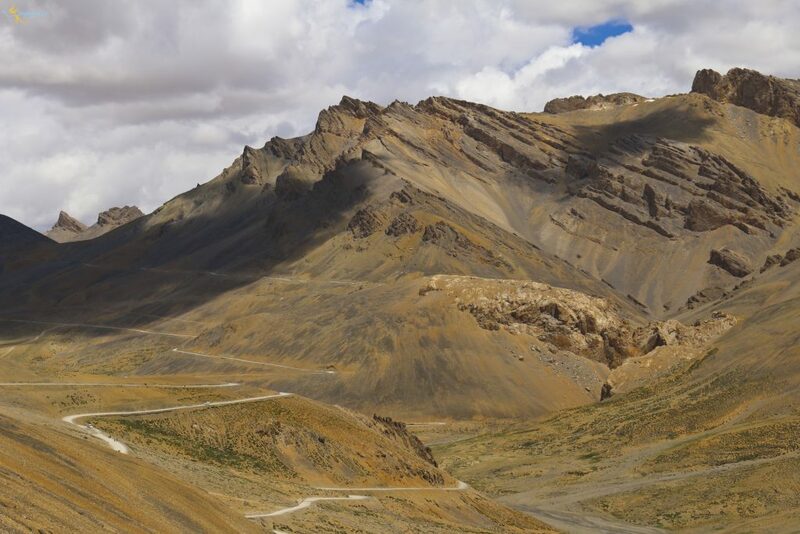 The Manali to Leh route is considered one of the most scenic road trips in the world. It’s almost a rite of passage for every adventurer, biker and travel junkie. The journey is almost like a thriller movie. You don’t know what awaits you at the next turn. It keeps alternating between lush greenery, snowcapped peaks and desolate wastelands as you cross high mountain passes, glacial lakes and charming villages. Take a chill pill in Leh for a day and explore the local attractions. Stand high in the Leh Palace and gaze in wonder at the Shanti Stupa. You can also shop in the vibrant markets for antiques and cheap winter-wear. You can additionally explore the Nubra Valley and Pangong Tso, the two most popular places in Ladakh. The Nubra Valley is known for its monasteries, arid deserts and hot water springs. Pangong Tso needs no introduction. A lake of ethereal beauty, camping beside it and watching it change shades during the day will be the highlight of your trip. Good to know: The average altitude of the Manali-Leh highway is around 10,000 feet, with 5 high mountain passes on the way. So acclimatizing is very important on this route. Keep yourself hydrated. 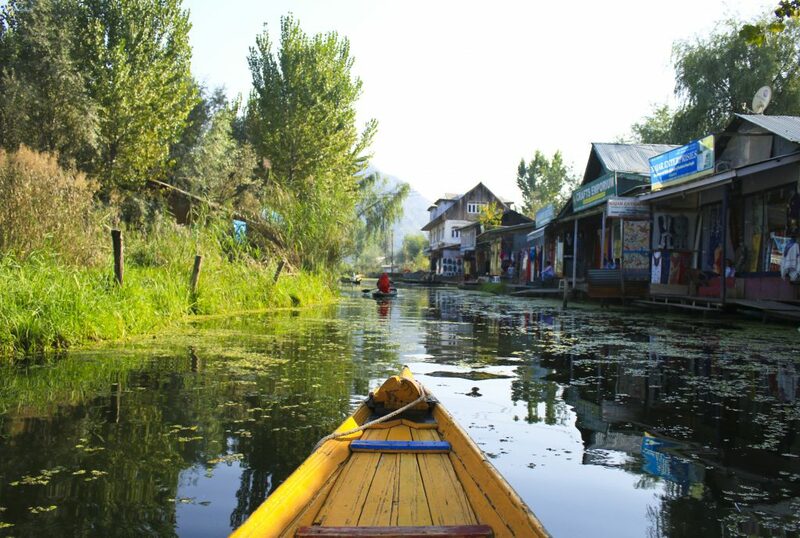 The other gateway to Ladakh is Srinagar, home to the Dal Lake, a serene lake encompassed by high mountains. A houseboat stay on the lake is highly recommended. The route to Leh passes through Sonmarg, a popular hill station sitting on a green valley fed by Himalayan glaciers. The adventure begins from Sonmarg as you start climbing the mighty Zoji La, the first mountain pass on the route. In total, you’ll cross 3 mountain passes in your trip. There are plenty of things to see en route, like the Kargil Memorial and at the river confluence in Nimmu. This is the point where the emerald Indus River merges with the brown waters of the Zanskar River. Perched on a cliff, Lamayuru monastery is another spectacular sight. The landscape around it resembles the surface of the moon, earning it the nickname “moonland”. As you cross Drass, you will see the landscape change dramatically, with the lush greenery giving way to mountains of brownish hues. The last stretch of the road to Leh is breathtaking, with barren land on both sides and golden mountains providing a surreal backdrop. Good to know: It’s the most comfortable road journey to reach Ladakh. It crosses over 3 passes and the ascent is gradual, helping you acclimatize naturally. Amritsar is a bustling city, home to the elegant Golden Temple, the spiritual centre for Sikhs. As grandiose as it is, the temple exudes calm and peace. Amritsar is a bustling city; housing the Golden Temple, a pilgrimage spot for Sikhs. The flag retreat ceremony at the Indo-Pakistan border –30 kms off Amritsar is quite the sight. Every evening, soldiers of both countries perform an orchestrated drill with their respective flags. Don’t forget to indulge in some lip-smacking Parathas. Dharamsala, a picturesque town surrounded by snow-capped peaks, serves as the Dalai Lama’s residence, which explains the prevalent Buddhist culture. The charming St. John Church, Norbulingka Institute, Dal Lake and Namgyal monastery are worth a visit. Next up is Manali, a very popular hill station. While here, check the Hidimba Temple, a shrine where history meets natural beauty. Hike to Jogni Falls, 25 min hike from Vashisht, where you can bathe in the springs. There’s plenty of adventure sports like rock climbing and paragliding. Or explore Manali and chill at some riverside café. The Manali-Leh highway, the gateway to Ladakh, takes you through some of the most beautiful terrains on the planet. Since it’s a long journey, you can break it at Jispa, a beautiful town set along the Bhaga River. Engulfed by clouds and dripping in lush greenery, it’s a place worth visiting in its own right. You’ll cross some of the highest passes in the world – Baralacha, Lachulung and Tanglang Ga. Make a pit stop at Suraj Tal Lake, and be careful of the infamous Gata Loops. Good to know: This route provides a dose of everything in a short span of time – culture, history, cuisine, adventure and landscapes. After landing in Leh, you should adapt to the altitude, so exploring the next day is a good idea. The town has many sightseeing options including palaces, stupas, war museums and colourful markets. Start the journey by heading to the Nubra Valley. Being at a lower altitude than Leh, it’ll help acclimatize. On this route you will cross over Khardung La pass, the world’s highest drivable road, at an altitude of 18,380 feet. It’s one of the most surreal landscapes – golden sand dunes ringed by towering mountains. You can visit the desert by riding the two-humped Bactrian camel, a rare species endemic to this region. Take a ride to Turtuk, a quaint offbeat village on the Indo-Pakistan border. It’s one of the last villages in India to continue the traditions of the Balti people. 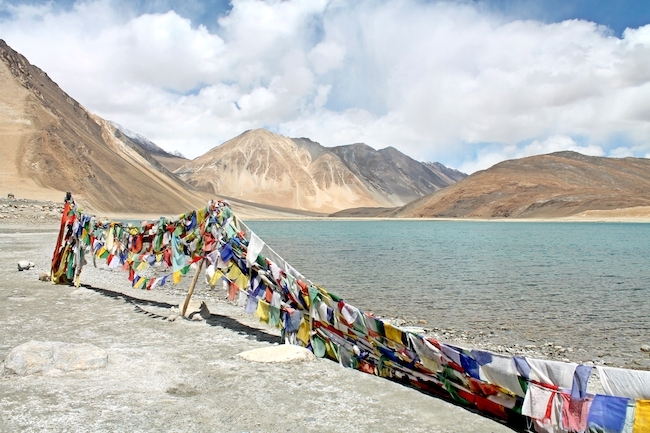 From the Nubra valley, you can discover Pangong Tso – a lake with sparkling blue waters. Stroll along the lake and immerse yourself in its overwhelming beauty. At night, you can sit by the lake and stargaze. 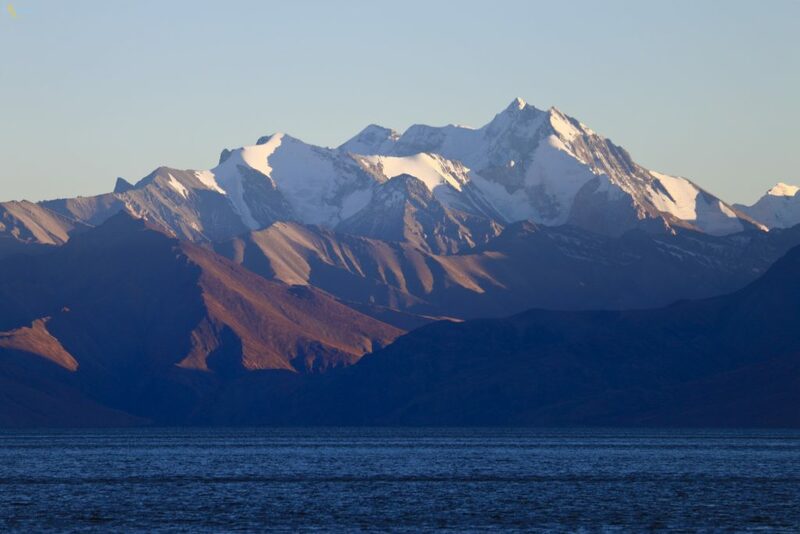 Later meet Pangong’s sibling – Tso Moriri Lake. Its remoteness ensures that few travellers make it that far. It’s a great place for bird enthusiasts and don’t forget to check out Tso Kar, a lake whose shores are partially covered in salt crusts. After an unforgettable journey, you can descend to Manali via the Manali-Leh highway. Navigating through some of the most difficult roads, rugged terrains and shallow streams gives the adventure its worth. As tough as it is, it’s just as rewarding. The views en route make it all worth the effort. Good to know: Since you are flying directly from Delhi to Leh, you are gaining altitude very quickly. Ensure that you acclimatize properly and take your time in Leh. This route gives you the best of both worlds – the Srinagar-Leh highway and the Manali-Leh highway. Starting from Srinagar, you drive to Leh, halting at Kargil. On the way, visit the Kargil War Memorial and the confluence at Nimmu – the meeting point of the Indus and Zanskar Rivers. Stop at Magnetic Hill, a mysterious stretch where cars supposedly defy the laws of physics. Once you reach Leh, relax the rest of the day. The epic road trip from Leh starts after a day of acclimatization and sightseeing. Additionally, on this journey, you will witness the amazing Nubra Valley. On the way take a snap at Khardung La where you’ll come within touching distance of snow-capped peaks. Sit by some of the most beautiful lakes in the world – Pangong Tso and Tso Moriri. Camp beside them and stargaze all night long. 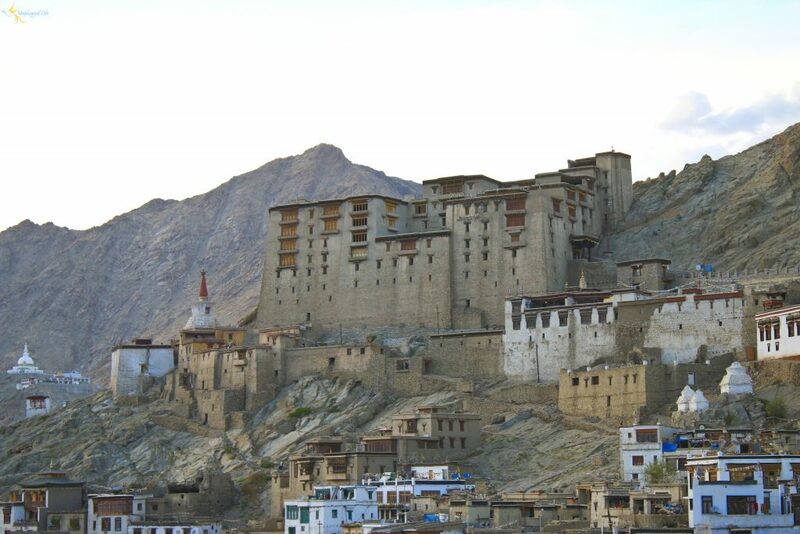 Ladakh is also the land of exquisite monasteries. Get a taste of Tibetan architecture at the Hemis, Thiksey and Lamayuru monastery. The last bit is climactic as you drive down the Manali-Leh highway, one of the most exciting road trips in the world. You’ll see nature in all its glory! Good to know: Since you are travelling to Leh from Srinagar, the ascent is gradual, helping in better acclimatization. While coming back, you are taking the Manali-Leh route, which is at a higher altitude. By this time, however, your body would have adapted to the lower oxygen levels, making it easy on the return journey. Interested in doing any of the incredible and life-changing routes? Plan your trip with us and we’d be more than happy to assist you in whatever you need!